Neil McBrearty has been providing flooring services across Carlisle, Cumbria and South West Scotland for over 20 years. 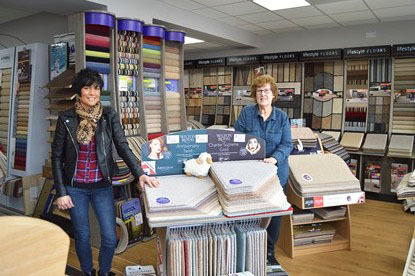 A family-run business comprising Neil, his wife Caroline and his mum Jenny. Neil McBrearty Flooring Services aims to provide a high standard of customer service along with a high quality finish to the work we do. At Neil McBrearty we understand that your time is important. We have just opened a new showroom in Carlisle to complement our ‘Home Call Service’. 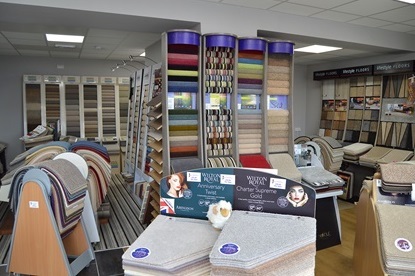 Call in and see us at 12 Dixon Street Carlisle (just off Corporation Road) our showroom is packed with samples and is conveniently placed just off the city centre. Our ‘Home Call’ service enables our customers to benefit from discussing your requirements in the comfort of your own home at a time convenient to you. 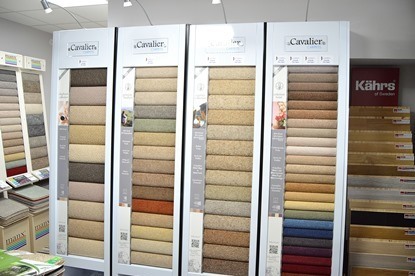 This consequently enables you to view your new flooring in its potential true surroundings, making your choice much easier for texture, colour or shade matching. Other benefits include the ability to discuss any concerns you may have about floor levelling, existing flooring, access, aftercare issues, etc. Aside from the obvious supply and fitting of a wide variety of floor covering products, we also provide floor preparation services should they be required. As well as our domestic and contract customer base we are now working with several local and national letting agencies, providing a reliable service to Landlords. In some cases we are able to undertake a 48 hour service from contact to completion.